Lettuce harvest. 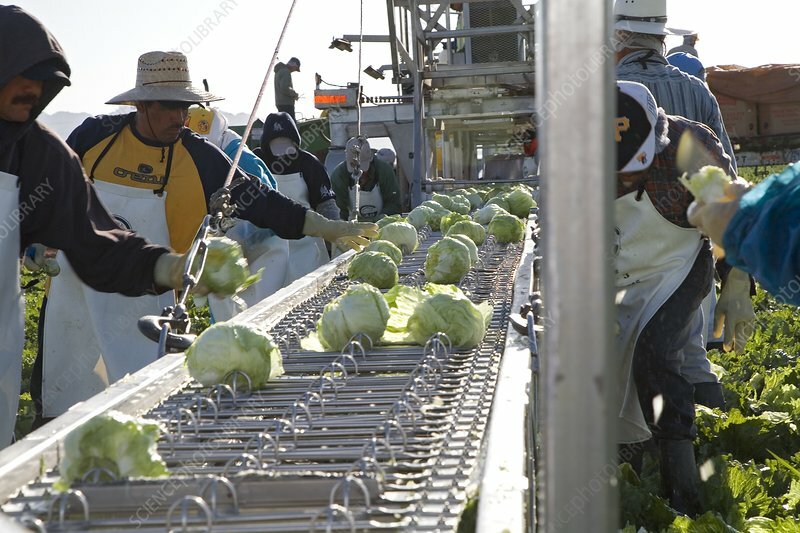 Mexican workers harvesting iceberg lettuce. Photographed in Yuma, Arizona, USA.